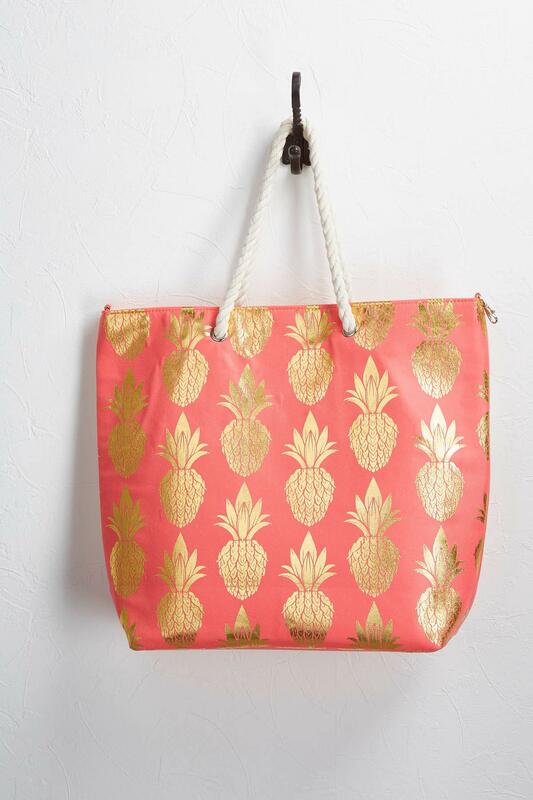 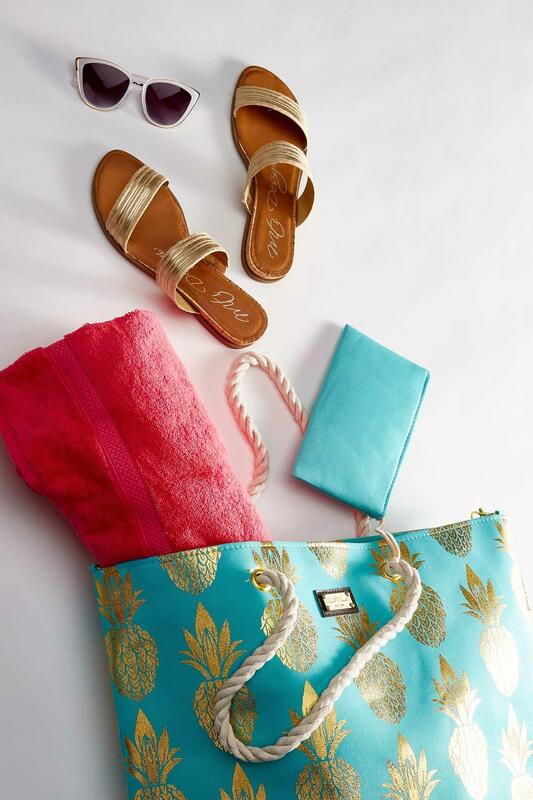 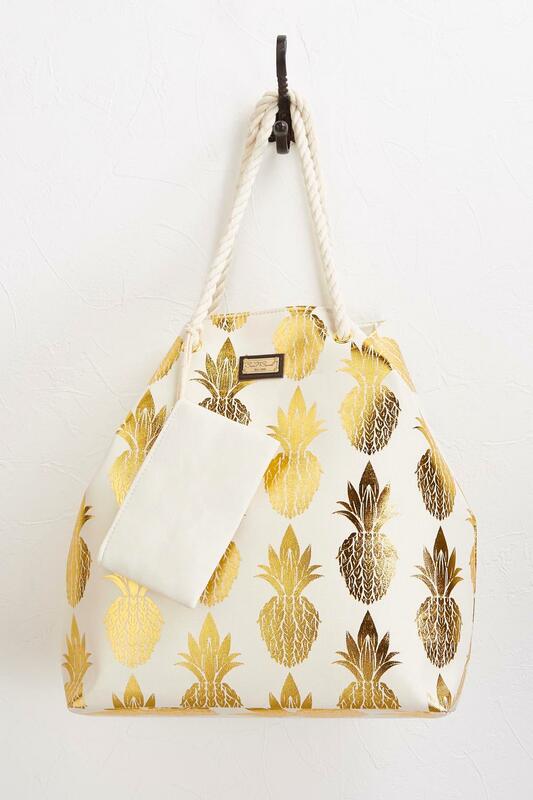 A metallic pineapple print, inside pockets, attached zippered pouch and a twisted rope handle come together for this ever-so-sweet summertime tote - a perfect beach to boardwalk, companion. 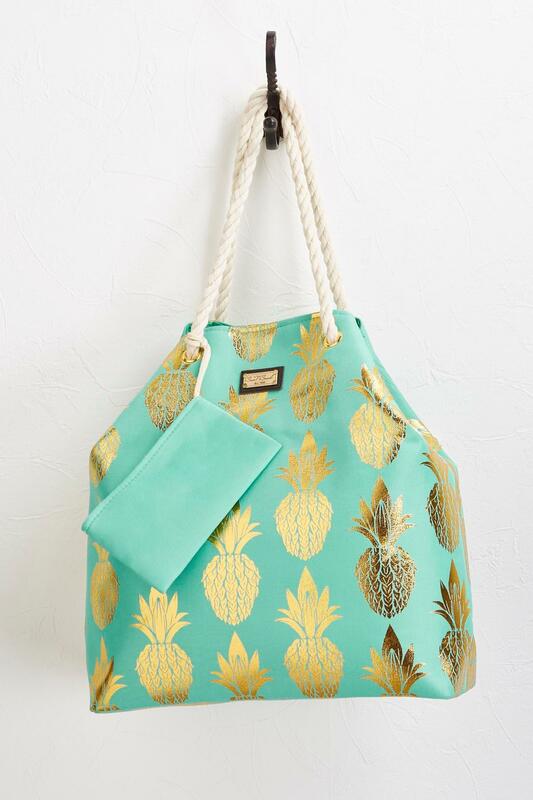 Tote: Snap closure. 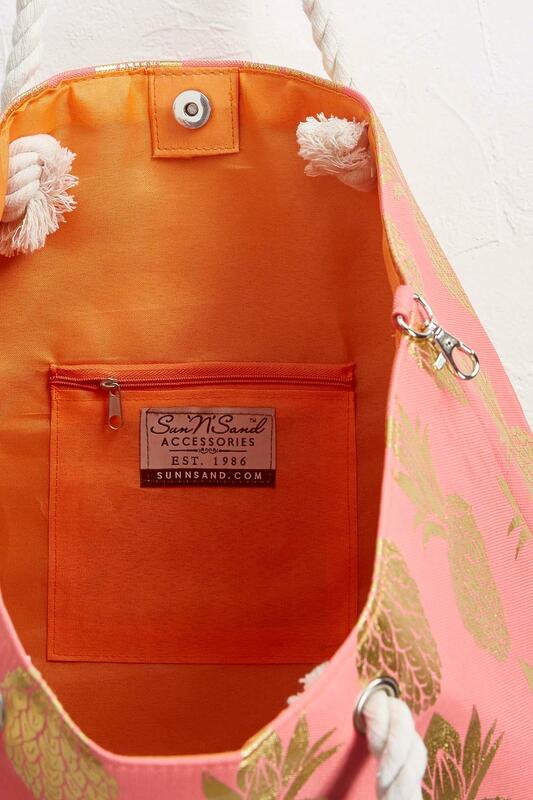 21" w, 17" h, 6" d, 11" strap drop. 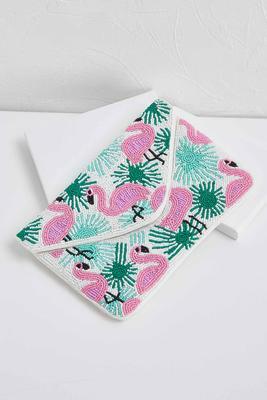 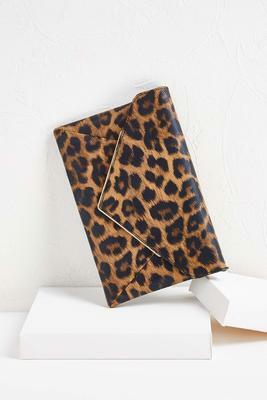 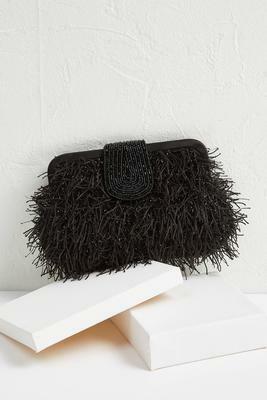 Pouch: Zipper closure. 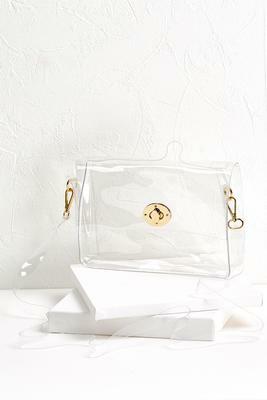 8" w, 5" h.